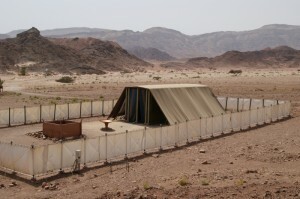 In this week’s Torah portion we read how the Tent of the Meeting is the place for Israel to gather and the place to house God’s Presence in their journey through the desert. But how can one small place contain so many people and so much glory? It seems too small! Yet, there are other places in the Bible where “what is less is able to contain what is more.” Can this teach us about the importance of “size” in the Bible, especially given the small size and great impact of the Jewish people? Is it possible that when it comes to things that are holy, size doesn’t really matter?